..as Jackie O. once said. 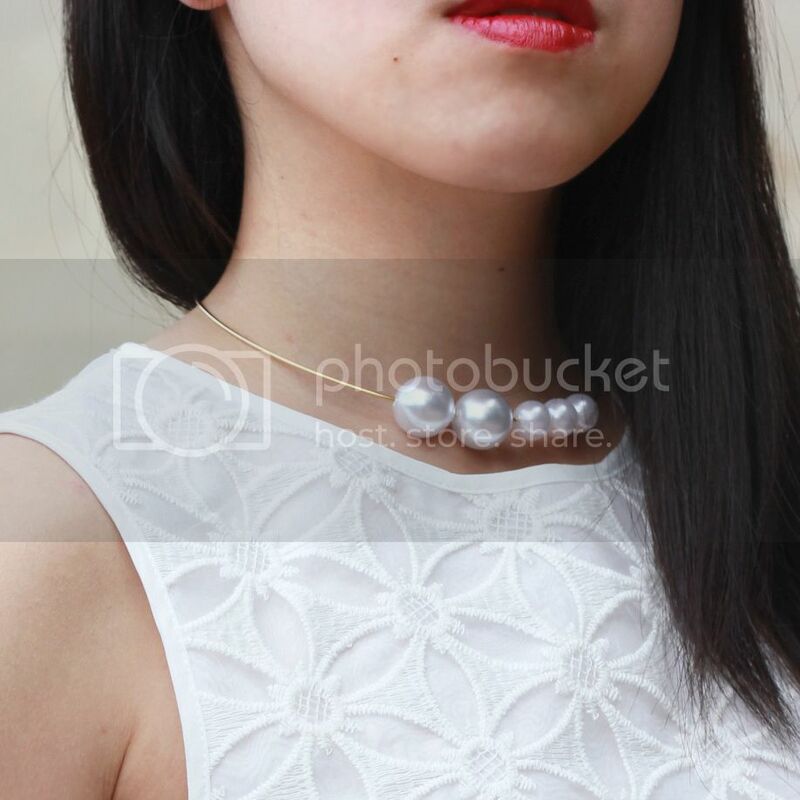 I love how pearls are making a resurgence in recent trends. They are truly timeless with endless opportunities to remix and reinvent. 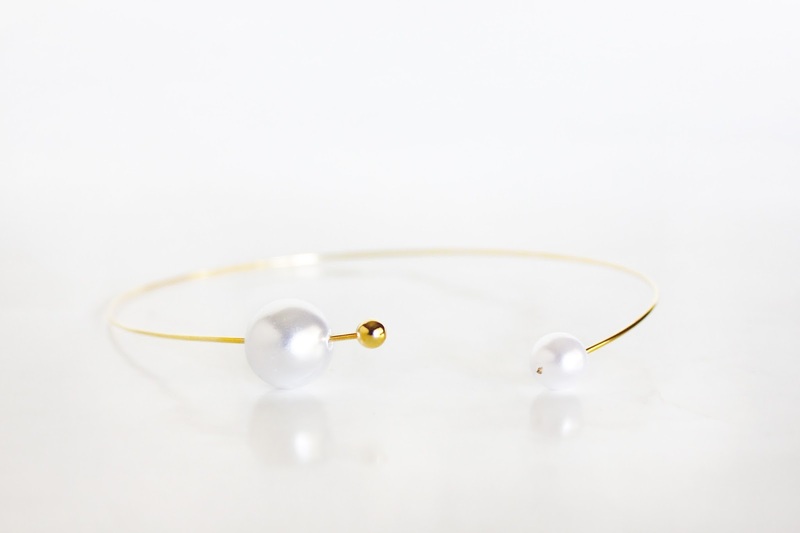 A few months back, I saw the Tibi collection with Anita Ko and loved the varying pearl sizes. 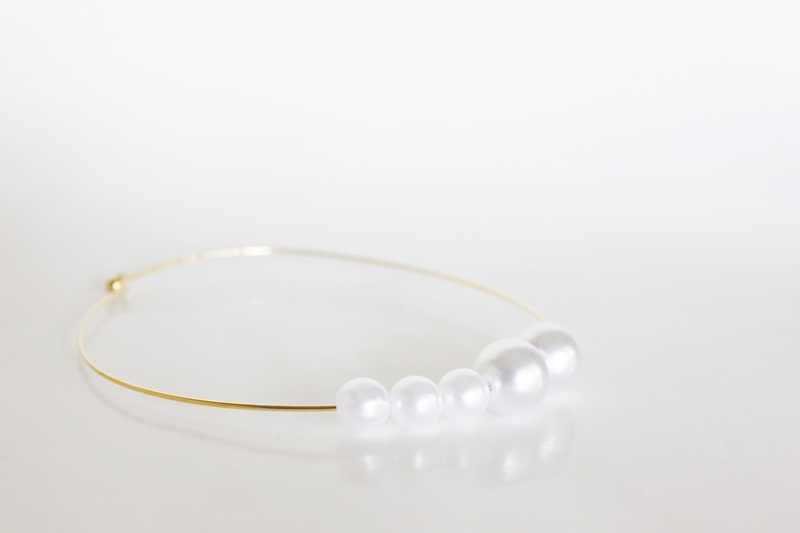 I already have go-to pearl earrings, but I could never bring myself to wear the pearl necklaces. I always feared of looking costumey. Then I laid my eyes on Anita's fresh retake on pearls. Different sizes all lined up on a beautiful gold bar. I wasn't about to shell out a thousand dollars for a necklace I could only wear sometimes since most of my clothing covers my neck due to work. So I decided I needed to recreate it on my own! I ran to my nearest crafts store, which happens to be Hobby Lobby, and lucked out. I found two bags of pearls of different sizes and a gold choker. I literally needed 2 things to make this happen. 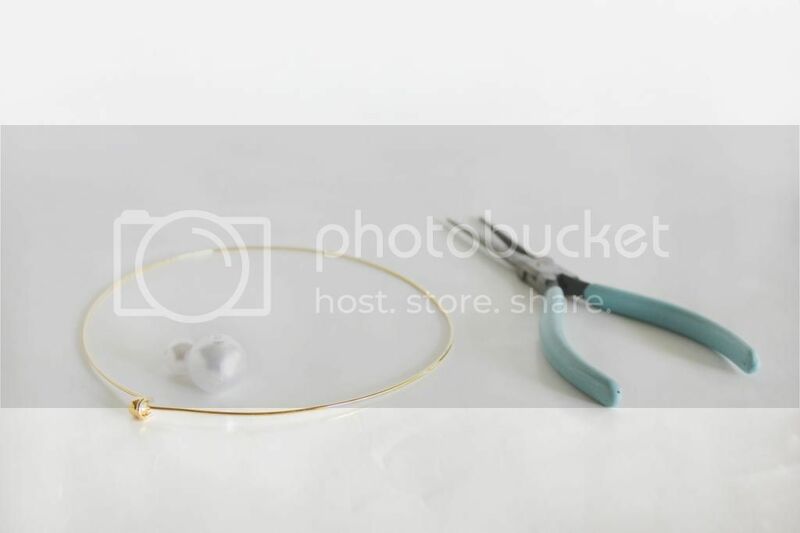 Originally, I thought I needed pliers, but realized the gold ball at the end of the choker could be twisted off! So no need to strip off one end of the choker. Easy peasy! Below is actually another version I decided to make while I was at the store, because I had recently seen Gary Pepper sporting a Ryan Storer pearl necklace that was just divine. I can't make as beautiful of a gold necklace, but I can get the concept. This time I needed the pliers to strip the one end without a gold ball. 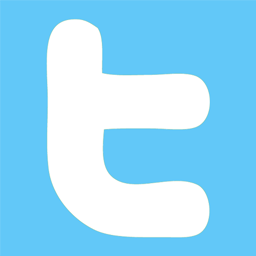 Linking up with Jann Olson. I'm definitely going to have to try this! I love it! Love this!! Totally trying it too. What a great idea! Pearls are my fave! Thanks! They're mine too. So classic, and never outdated. This is amazing! Such a classic but modern necklace! love the necklace - will definitely try this! This really is gorgeous! I love the varied sizes of pearls also. Thanks for sharing with SYC. I tried to follow with GFC, but the link didn't work.